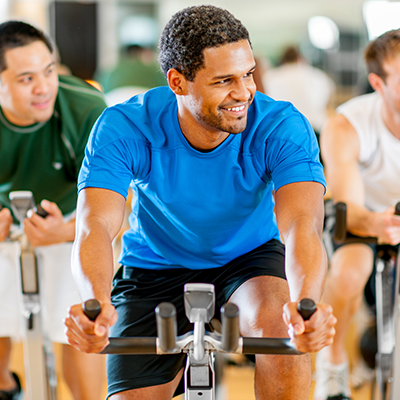 Let our instructors take you on a cardiovascular journey with our spinning classes. Pedal along flat roads, up and down hills, and through valleys as you take your aerobic training to a new fat-burning level with our indoor cycling workouts! Come for a spin with us in some of the best indoor cycling classes in Sacramento! Newcomers: We recommend arriving 15 minutes prior to class start time to let our instructors give you a custom bike fit. 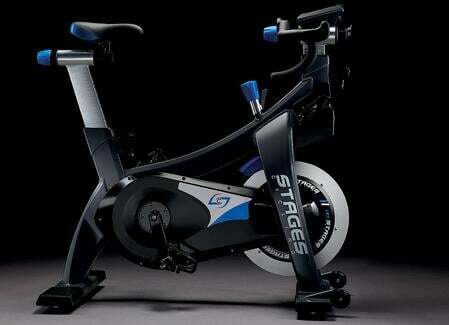 We are proud to present a total revamp of the cycle program, featuring new Stages SC Series indoor bikes equipped with the popular Power Meters. Stages bikes allow the instructor to set the ride up in "stages" to allow internal and external competition, so it's perfect for all levels! Cycling classes are a perfect way to get a low-impact, cardiovascular workout. If you are recovering from injury or just starting a fitness routine, our instructors can assist you in adjusting the bike for your needs and recommend appropriate goals. 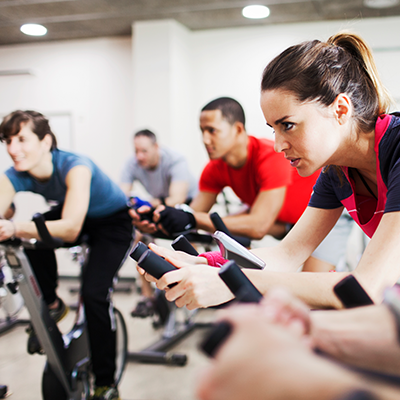 "Spinning classes" are mistakenly used as a generic term to describe indoor cycling. Many people don't realize that "Spin®" and "Spinning®" are trademarked names that describe indoor cycling on a specific brand of equipment. Though Cal Fit doesn't host official branded Spinning® classes in Sacramento, we do offer the ultimate, challenging indoor cycling experience on high-quality equipment, and with carefully trained instructors. You'll burn just as many calories! Explore the full list of fitness classes in your area.